As an expatriate interested in buying property in Yucatán, it is easy to find yourself in a position where you don’t know what you don’t know. Mexico’s rules about foreign possession of real estate have their roots in the Mexican Revolution, but have been updated to accommodate the modern investor and modern-day Mexico. The Mexican government considers the issue of foreigners owning Mexican land a matter of security. They have created two legal structures regarding foreign property ownership: The “Restricted Zone” and The “Non- Restricted Zone”. The Restricted Zone comprises properties located within 50 kilometers (31 miles) of the coast or 100 kilometers from any border with another country (Mexico borders the United States, Guatemala and Belize). In this zone, a foreigner (anyone without a Mexican passport) is not allowed to own land or property according to Mexican Law. The Non-Restricted Zone is anywhere outside the Restricted Zone. Foreigners can legally own property in this area, but still must meet some requirements. The buyer is required to prove that they are legally in Mexico and must inform the Ministry of Foreign Affairs (Secretaria de Relaciones Exteriores, known as SRE) that they have completed the purchase. In order to encourage foreign investment in accordance with the North American Free Trade Agreement (NAFTA), the Mexican Congress modified investment laws creating a new structure that allows foreigners to invest in Mexican real estate: The fideicomiso (pronounced FEE-day-coh-MEE-soh, which is Spanish for “bank trust”). Fideicomitente is the seller. They grant the real estate involved and relinquish the rights that go along with the property. Fiduciario is the trustee. A Mexican bank serves as the trustee, working in good faith for the buyer and his/her/their interests. The bank purchases and owns the property on behalf of the beneficiario. Beneficiario or beneficiary is you or any foreigner who enters into the fideicomiso to purchase real estate. Because a foreign buyer is not legally entitled to own property outright within the restricted zone, the trustee (bank) buys and creates a trust to hold title to the property. The bank holds the title, but by law it can only act under instructions of the beneficiary of the trust. The beneficiary has the same rights to lease, sell, improve and mortgage the land or otherwise uses the property as he/she wants, just like any Mexican property owner. The bank charges a fee for establishing and maintaining the trust, which varies from one institution to another. The charge is usually in pesos and usually costs somewhere between $400-600 USD, paid yearly. The charge to administer the trust can be changed annually, but in our experience, it has not changed more than a few dollars either way in the last few years. The trust retains ownership of the property up to a maximum of 50 years. After 50 years, the trust may be extended for another 50 years. This process can repeat indefinitely if the property is used for residential purposes, but the fideicomiso must be rewritten for each 50 year period. The trust may be terminated by transferring the rights to another foreigner. This transfer is legally considered a sale, and therefore is subject to Mexican tax laws. To sell a property that is held in a fideicomiso to a Mexican citizen, the trust may be terminated and the citizen can purchase the property “fee simple” (property is held directly by the citizen). Understanding the details of this process can be difficult if you are experiencing it for the first time, or if your Spanish is limited or if you have any complications. YES can help you by managing the paperwork , introducing you to the proper people at the local banks, working with you to shepherd the process through the banks, and/or working with you to expedite the documentation and bureaucratic process. Feel free to contact YES if you have any questions about fideicomisos and buying property in Mexico. For more detailed information about fideicomisos, corporations, taxes and more, go to this page on the Mexico International website. Great information! It has been my experience that Scotiabank offers the best fideicomiso dept. We have had real nightmares dealing with other banks on fideicomiso issues. I strongly recommend using Scotiabank! thank you. i have had fideicomiso experience with HSBC but only because is was simpler to transfer the existing trust when i bought the property. in 2009 i paid $5344 pesos and was informed that next year this will be $6400- the cost of trust is rising rapidly! any other comments from others regarding increases? as a new semi -permanent resident of chelem …i used an option to purchase my proiperty which was not spelled out. i created a mexican corporation. for 1/3 the cost of establishing a fiduciomo and also gives me the ability to buy and sell other properties under 1 corp.no yearly bank fees and a “no -brainer” filing an annual return..just need a sharp attorny(which i have)! I have a couple of questions…is there any provision that can be added to a fideicomiso (without changing to a mexican corp) that allows you to rent your house out on a very limited basis…say, for a week or two once or twice a year? Also, my fideicomiso is with HSBC and it seems to go up every year. Is it possible to change to Scotia and how would one go about getting estimates to do so? Mark, this is interesting, tell me more. What is a Mexican Corporation and what are the details? Is there a site where this information can be found? And what of the tax implications for Canadians? 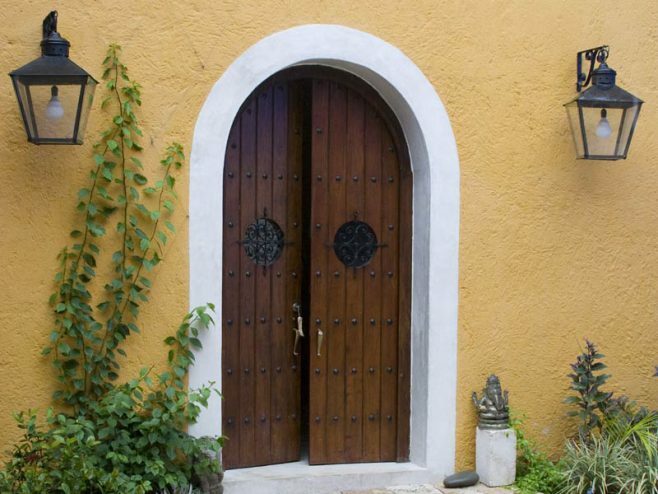 Excellent and concise intro to buying and owning property in the Yucatán. It does not have to be complicated but their point is well taken that it is indeed very easy and sometimes costly to find out what you do not know. Choose well and carefully the people who will help you make living in the Yucatán the truly life enhancing experience that it can and should be! Buying property thru a corporation is an option, but not always the smarter one. If you are going to be using your corporation for business or commercial purposes and receiving income from those endeavors, then a corporation is the best way to go. With a corporation, all expenses and taxes related to the property that are paid through the corporation can be claimed for tax purposes. If this is the case, your annual tax return will definitely not be a “no-brainer”. If in the other hand you are just using your corporation to hold title of the property but conducting no business or commercial activity through it, your annual tax return will be a “no-brainer”. However, you will have the disadvantage of being required to pay corporate taxes on capital gains of 30% of your profit whenever you decide to sell your property. On the other hand, when you use a Fideicomiso, with proper accounting advice these taxes may be legally avoided. The bottom line is that there is no “magic formula” on estate planning of this kind. Depending on the circumstances, either one of these options may be good for you, but you should always get professional advice. In our experience, we have seen expats lose their homes because they did not think of this or were not told of this when they were making these decisions. They ended up owing so much in taxes that it made more sense to sell the property and pay the debt than to keep the property. To answer your questions: a fideicomiso can allow for rentals, regardless of the length of stay. I am in the process of closing on a property in Merida but my realtor ( who has power of attorney ) is unable to supply me copies of any of the closing documents prior to the transfer of money and the actual closing. He states that the documents are all part of a booklet and and written in Spanish. Is this common, should I be pressuring him for some sort of accounting before executing the wire transfer of funds? mark pilcer – what you are writing is interesting – I have a corporation but it seems to create so much problems – may be because the notary wrote it as a construction company and I trusted and purchased a lot on the Bahia in Chetumal and built on it – Now it seems I have a full corporation just if I were making business and for retired people it is very scary. Please help with extra comments. Is it true that the only way to no longer pay for a Fideicomiso is by becoming a Mexican citizen or starting a corporation but then you have to pay yearly legal and accounting fees which probably would be about the same amount as the yearly fideicomiso. I had originally heard that after 5 years of having an FM2 and obtaining a full residency that would do it, but apparently not. Would that mean I’d have to give up my Canadian citizenship? I have found a house I wish to buy. I keep hearing this 50 kms or less from the coast but I don’t know how many kms the town of Tixkokob is from the coast. Can you help me with this? I have a real estate agent and he has told me a fideicomiso is the best way for me to aquire this house since I can’t own land being American. He also told me I would pay yearly for the house and yearly for the taxes is this true? Can I choose the bank to write up the fideicomiso,because if I can I want to use Scotiabank. I was also told by my agent that closing costs would be around $6000usd is this true? I am on disability in the US and I read somewhere in order for me to live there I must receive $1000usd a month is this true? P.S. Thank you for your time and patients. Your website has been very helpful. Sheila, there are few cities in Yucatan whose properties can be bought by non-Mexicans without a fideicomiso. Tixkokob is not one of them, so yes, you need a fideicomiso to buy property there. You need to pay annual fees to the bank and the property tax also every year and yes you can choose the bank. Closing costs depend on the amount of the operation and in order to obtain an FM3 to live here you need to show 1,200 dlls every month. Please contact me to my e-mail if you have further questions: adriana@yucatanyes.com and thank you for your comments! We have a house in Merida and a fideicomiso. We are using it for vacations at this point but may also rent it out. I am wondering, where should we keep the actual documentst: with us in Canada, in the house in Merida, with the property manager, or is there another option? Debbie, the original documents should be kept wherever you keep your important documents and a notarized copy in a safe in the house or in a commercial safe. Hi- My husband and I want to buy a house in Merida. He’s a mexican citizen and has a business, but I’m just here on a tourist visa right now. We want to make sure that if anything happens to him, I will have ownership of the house. How do you propose we go about buying it? Thank you Patty; regarding your question, depending on which area of Merida you plan to build there are different requirements and permits to comply with (for example, if you build in downtown Merida you will see there are more papers to submit because it is a historic part of the city). We think you shouldn´t worry about the subject, yes there are permits and requirements but nothing that is too complicated to be accomplished! And of course it is always advisable that you hire experts to help you if you have questions. Is it required to have an FM3 to purchase property? What constitutes being legally in Mexico?? Dale, an FM3 visa is not required to purchase property. Being legally in Mexico means that you have the proper visa according to the activities you perform while in the country and the amount of time you are in it. My husband and I are considering retirement to Mexico. I’d love to buy a house, but I’ve heard horror stories about American expats having the Mexican gov’t take away their property and losing everything. Is there validity to these stories? Is this something that can be prevented legally? Thanks a million. I agree with Patty…this is a great and informative site. What is the current status on legislation that will eliminate the restrictions on foreigners purchasing property in Mexico? Carole, the initiative to modify Article 27 of the Constitution presented on April 23 of 2013, has not been approved yet; however, it all looks like sooner or later, it will be. Greetings! I’m considering buying a small apartment complex in Merida to both live in, and rent rooms. If I don’t have a Mexican on my team, will I need to form both a Fideicomiso and a Mexican corporation to run the business? Thanks very much! Ed, it would be either the fideicomiso or the Mexican corporation, not both. And if you will be doing business, it is better that you buy the complex through a Mexican corporation. Rick, Tizimín is out of the restricted zone, so you could buy it directly, without a fideicomiso.